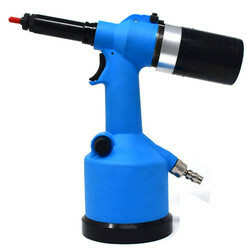 Prominent & Leading Manufacturer from Coimbatore, we offer electric hydro air pneumatic riveter. We feel proud to introduce our business domain as an acclaimed organization of Electric Hydro Air Pneumatic Riveter. It uses the exhaust air from each stroke to eject spent mandrels for mandrel collection in a very effective manner. Looking for Air Riveters ?